The asMODus Colossal is a petite box mod that packs a punch at 80.0 watts! 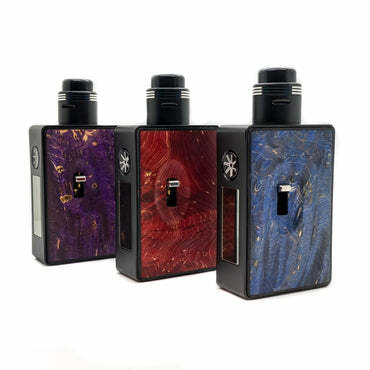 This amazing new asMODus device, ironically coined the Colossal, is a bite size powerhouse with implementation of full temperature control mechanics and is powered by a single 18650 sized battery (not included) that utilizes the all new asMODus "battery safe connector". 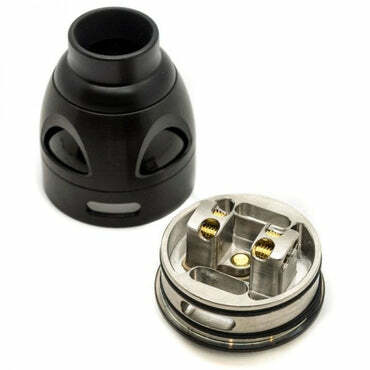 This new technology encases the positive battery port with a plastic rim which forces the battery to stay in a place which provides a more stable, secure, and most importantly, safe connection. This tiny mod is touch screen ready and is sure to impress and be the perfect on-the-go mod. The Colossal is presented in a tiny form factor that is most definitely not tiny in features. The Colossal is the first device to offer an exceptionally versatile and innovative touch screen that offers unlocking with 3 quick touches as well as sliding support. Depending on your settings, sliding down on the touch screen (or 3 quick touches) unlocks the device and allows the user to change any of the features found on it's display. Once unlocked, touching wattage adjusts wattage and sliding the mode on the top from side to side will cycle through the firing modes. The following fire modes are available: Power, Temp, Curve, TCR, and TFR. Once within a firing mode, holding the mode allows you the adjust further. The Colossal is powered by the GX-80HUT-V2 chip that provides a power output of 5.0 - 80.0 watts while using power mode and 5.0 - 60.0 watts in temperature control mode. The Colossal supports TCR and TFR with a multitude of wire types. The Colossal includes a micro USB for firmware updating to ensure that your device is always up to date. It is not recommended to use the micro USB port for charging.